we’ve been eating a lot of korean food at our house lately because grandma cooks. my girl, grace choi must be laughing her head off! 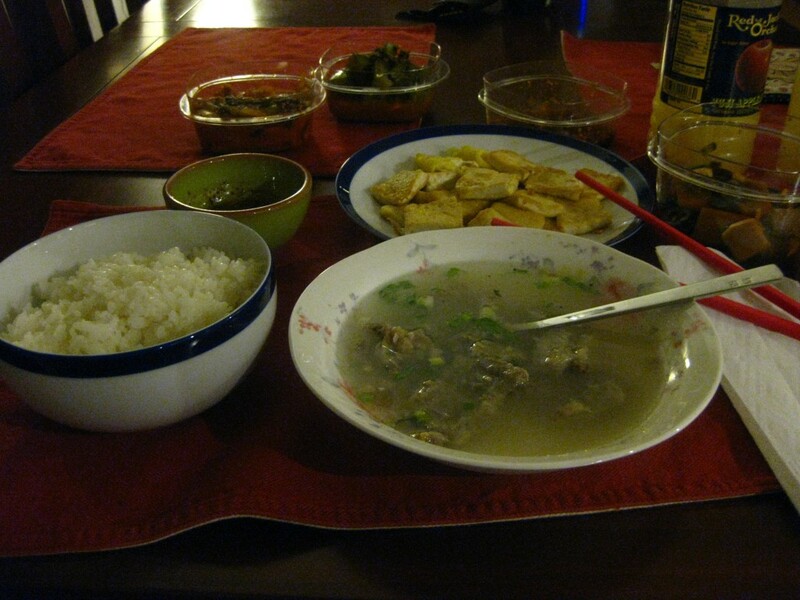 korean meals on a day to day basis are pretty simple…preserved veggies…some soup…some sort of main dish. much like what we have on the table. 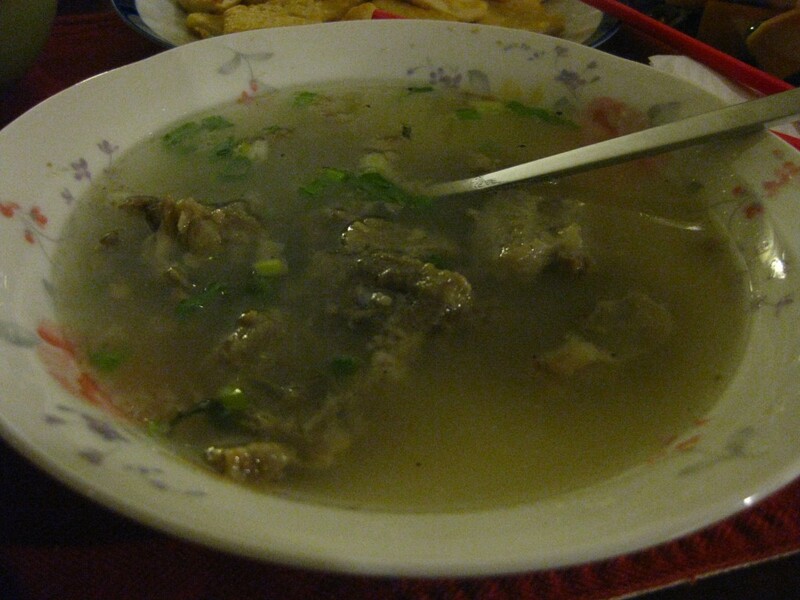 today’s main item is this delicious oxtail soup that grandma cooks for hours until the meat is tender. a little salt, pepper and or soy sauce and i can eat this almost everyday with rice. grandma serves this with tofu fried in egg with said soy sauce with sesame seeds. i’m all set. a close up of the home cooked goodness. looking forward to this in the fall….but any season is good for this.